After leaving school, Dr. Steventon studied to gain his Bachelor of Medical Science from Sydney University. He then continued on to earn his Master of Chiropractic from Macquarie University. During his final years at Macquarie University he worked under the tutelage of his uncle Rodney in Sydney, and after graduating, began work as a Chiropractor in that same clinic. For ten years Dr. Steventon built up a successful practice alongside his uncle and several other Chiropractors, while simultaneously pursuing his passion for music. In late 2009 he and his wife of four years, Sarah, decided to return with their two young children to Sarah’s native Central Coast, joining forces with Dr. Bryce Conrad as a co-director of the Central Coast Spinal Care Centre. Since coming to the coast, Angus and Sarah have welcomed their third child, Tobias, brother to Zachary and Hannah. 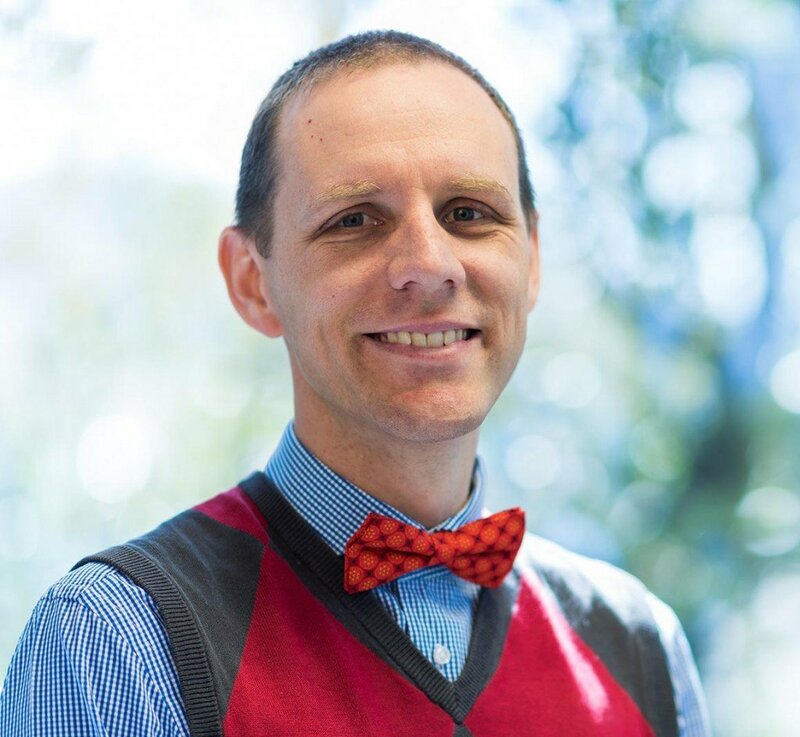 Angus has been a member of the Australian Chiropractors Association since his graduation, and is a past Vice President of the NSW branch. Angus currently represents Australian Chiropractors on the Federal Diagnostic Imaging Advisory Committee. Dr. Steventon is a skilled professional musician. Ten points for anyone who can guess which instrument he plays. Hint: It is not the bagpipes.